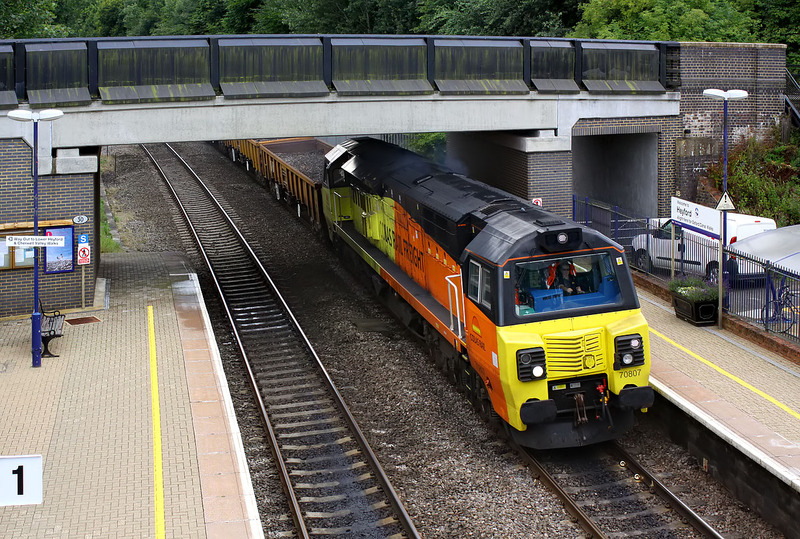 70807 passes underneath the road bridge at Heyford on 27 July 2015 with the 6M50 12:09 Hinksey to Bescot engineers train. This train normally starts from Westbury. The road bridge was reconstructed a few years ago, but is already starting to look very weathered.